The first month of 2015 flew by in Independencia as the members of the Club de Artesanas (CdA) packed a variety of activities into the last few weeks of the school vacation. first time since last March. 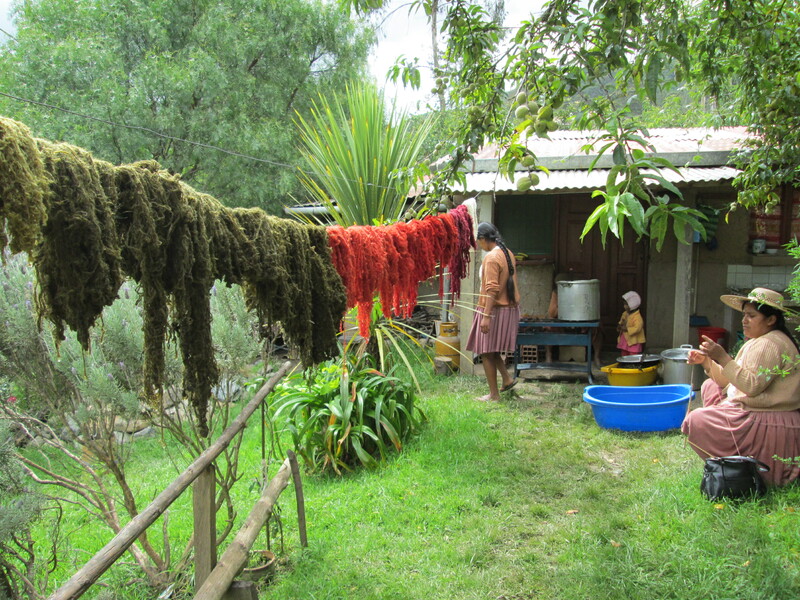 The women chose to add millu, a mineral from the La Paz area, as the mordant to darken the dye bath. The results were 2 dye baths of almost identical forest green skeins and the 3rd and final dye bath dyed the skeins light green. at home. 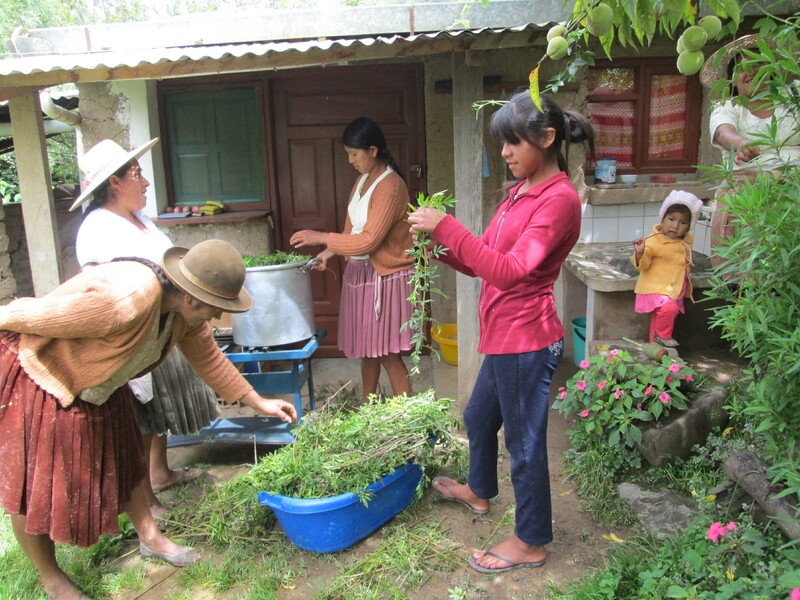 Last week a landslide damaged Independencia´s water system high in the mountains near the source, so water flow was nonexistent or a turbid trickle all week as government workers and volunteers from local organizations worked to repair it. The rains stopped and the summer sun beat down for a couple of days just as the city water ended. The gods had a good laugh before sending forth the begged for rains that could be collected for home use. 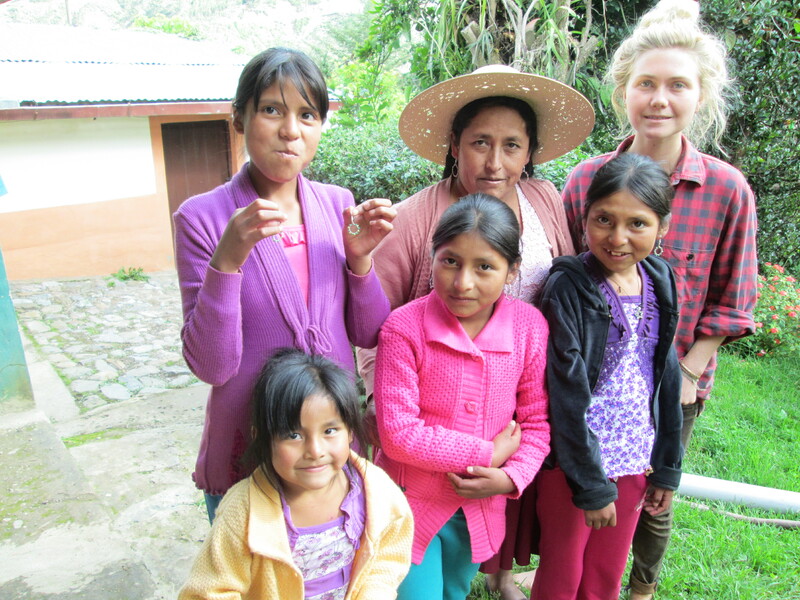 Visitor Rory Curtain spent a week participating in the CdA activities. 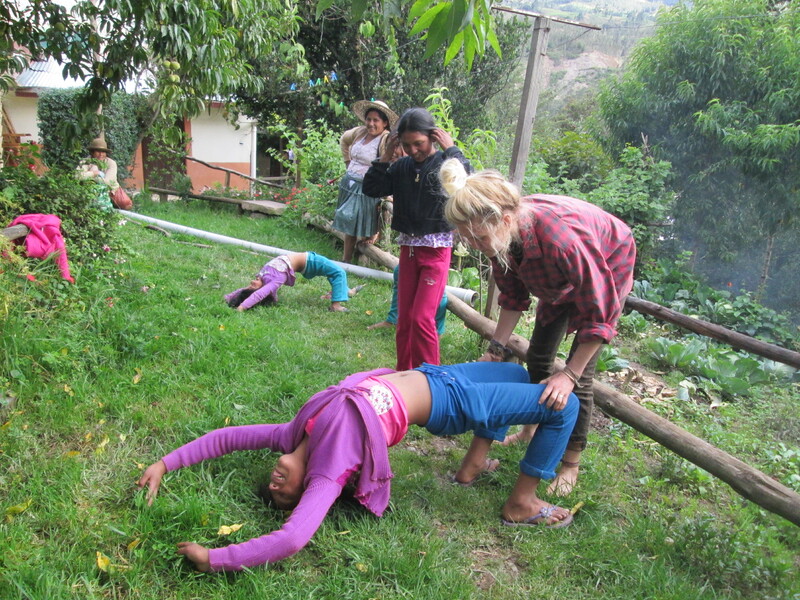 She delighted the teens by teaching them basic yoga moves and gymnastics. Their high spirited play was the perfect ending for the summer CdA session. 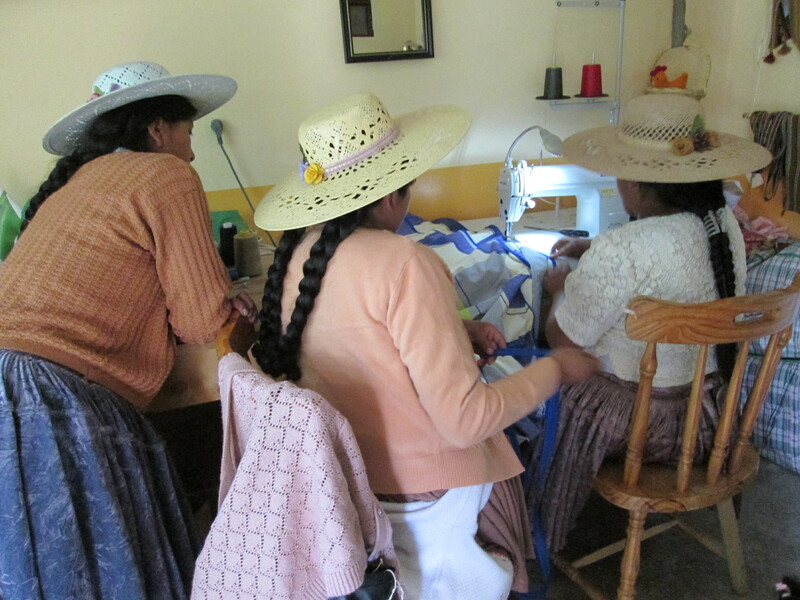 Doña Máxima´s Cochabamba based daughter, Zoraida, has sewn professionally with an industrial sewing machine. She graciously accepted the request to teach a 3 day class so we could put the new Juki sewing machine to use. Although all 4 women in the CdA expressed interest in participating in the class, two were intimidated by the speed of the machine and dropped out. Doña Máxima and Zoraida´s older sister, Vilma, completed the class. The first project was to make a payasa (straw filled mattress) cover with zipper as an introduction to using the sewing machine. The goal of the class was to have at least one woman competent in the assembly of the yoga mat straps. 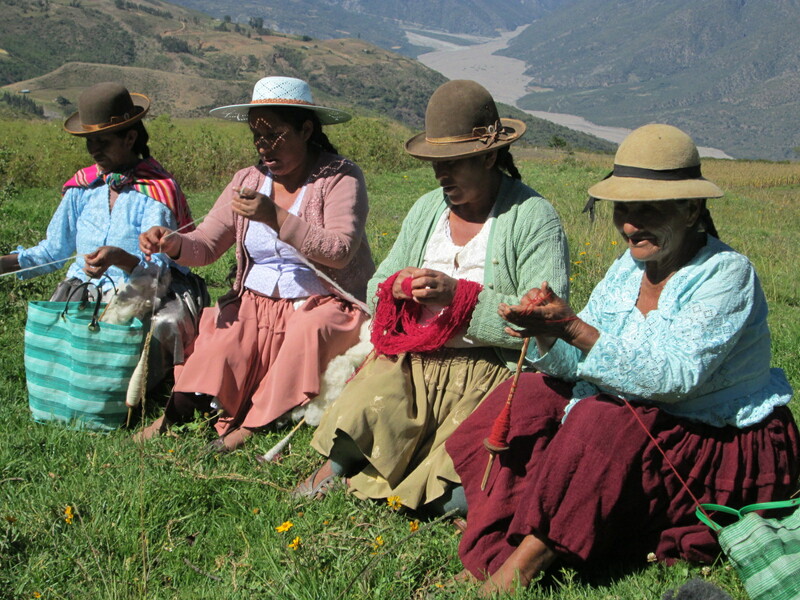 The women also sewed zippered coin bags from weavings and sample zippered pouches with lining out of practice material. Every line of stitching for each project was examined and discussed. 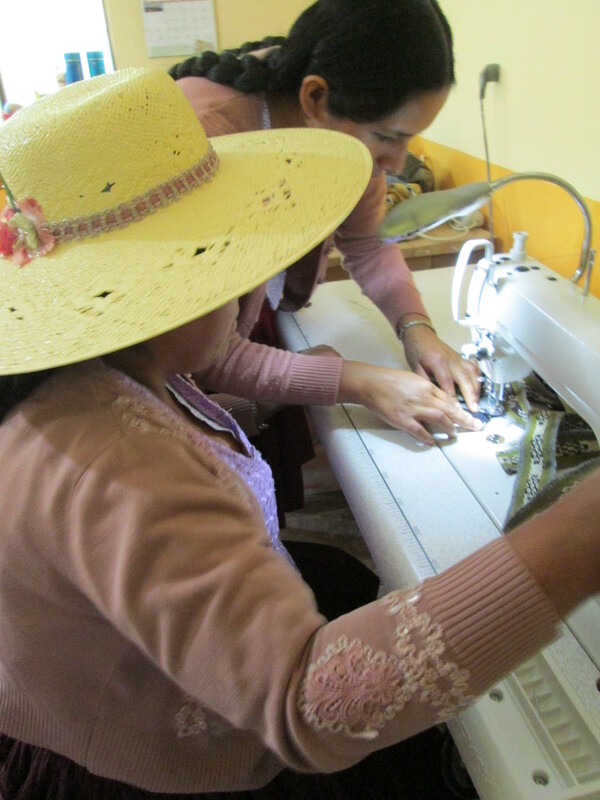 All the years Doña Máxima has spent listening to visitors, volunteers, and potential buyers on how to improve the weavings has paid off because she quickly understood the quality standards that apply to the sewing. The class was a success. 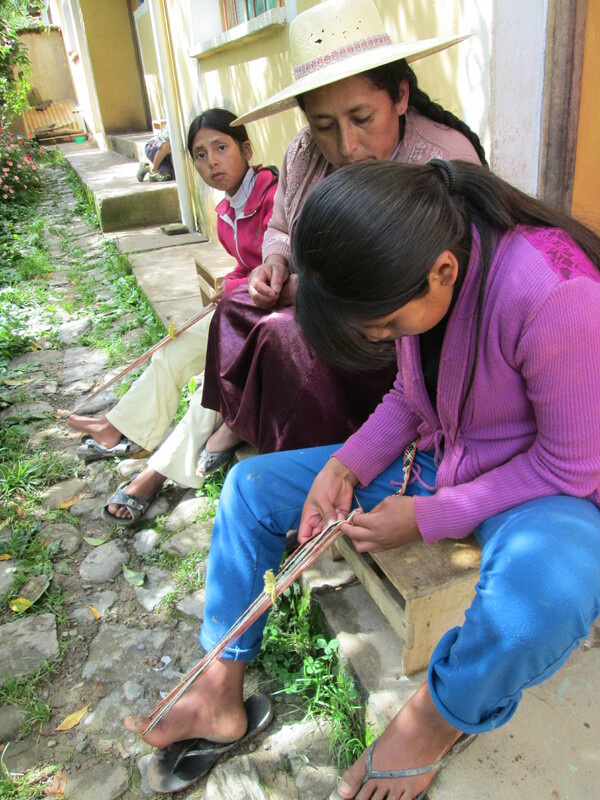 The in-house assembly of the yoga mat straps can begin immediately, thus providing income for local women instead of to the sewing workshop in Cochabamba. The women need a bit more experience with inexpensive material before assembling the lined zippered pouches. 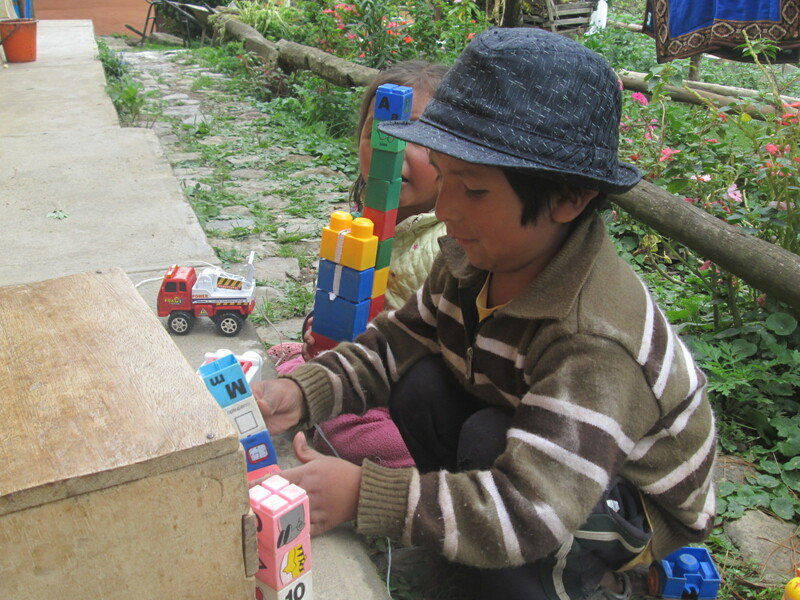 Our heartfelt thanks go out to Ruraq Maki for providing the funding to purchase the industrial sewing machine. 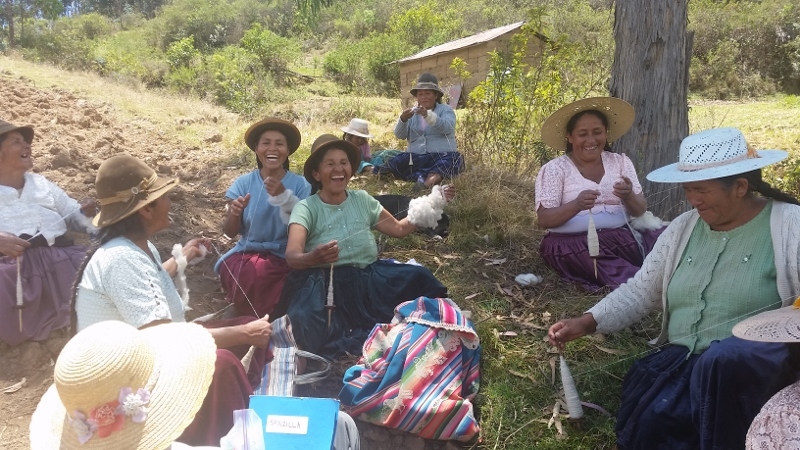 The ongoing support of Lyn Lucas, Shiriin Barazkai, Dorothy Thursby-Stern, Nancy Meffe, and Susan Long made it possible to provide the intensive sewing workshop and are helping to keep the ongoing PAZA activities going.